Aerosync Support specializes in the repair, overhaul, custom paint schemes, and modification of Helicopter Airframes covering Primary and Secondary Structures.We offer nearly every type of structural repair service and we can perform many of these services globally 24 hours a day 7 days a week. 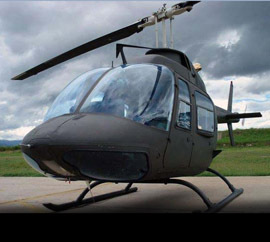 Aerosync has accumulated knowledge of over 30 years in structural repair, modification, and fuselage rebuilds to Bell, Sikorsky, Airbus, and Agusta Helicopter platforms. 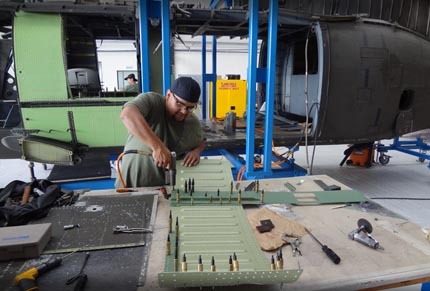 Our highly skilled individuals have diverse backgrounds having work experience with OEM companies like Bell & Sikorsky. Aerosync offers more than simple sheet metal repairs, we offer in-depth Primary structure repair capability in order to carry out major refurbishments and crash damage recovery processes. In addition to metal repairs, Aerosync provides composite repair services covering the most highly utilized types of fibers, resins and curing methods. Whatever your structural requirement is, you can count on Aerosync to provide the right solution to get your Helicopter back on mission.